A civil servant, Sam Cookson, is placed in the middle of a bidding war for a new European superhighway. This position makes it dangerous for himself and his daughter while the bidders fight for this contract. Gene Bradley is sent to keep Sarah Cookson safe from any harm that may befall her. The possibility of harm or even worse death will challenge Gene to find a solution and fast. Another episode with a feasible storyline, where competing building companies fight for a contract to build the so called Europe 100. 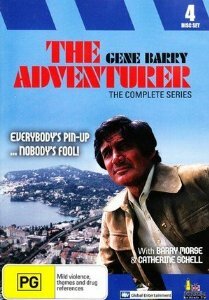 Gene Barry looks over-tanned, awkwardly snug in his trendy suit and comes off as ineffectual in this tale of kidnapping and blackmail. Two special surprises are Anthony Nicholls as Samuel Cookson (his name will used in another series coming shortly) and Jane Asher playing the role of Sarah Cookson. Jane was a child actor in another ITC production The Adventures of Robin Hood, where she played the “young girl” roles in multiple episodes. It must be said that “To the lowest bidder” is one of the stronger episodes in this series up to this point.